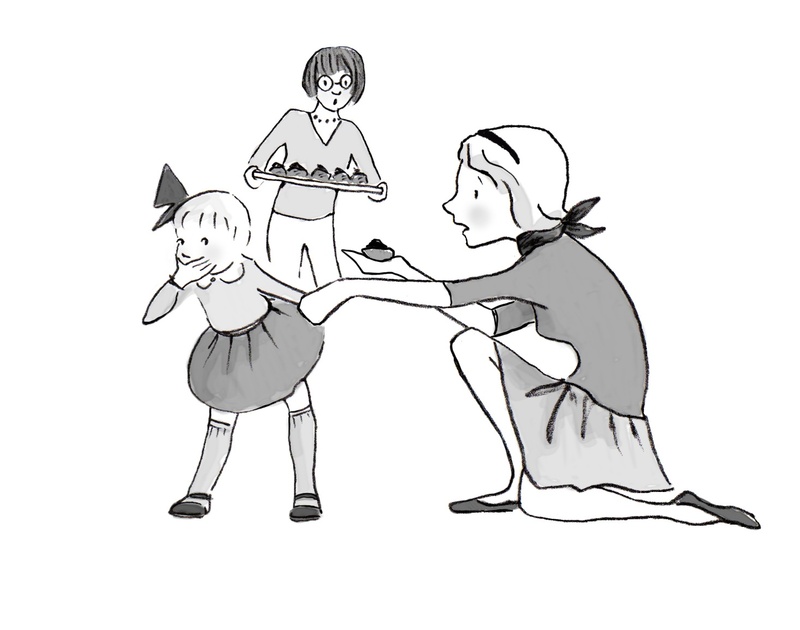 Top Tips for Picky Eaters, from "French Kids Eat Everything"
Many readers have written in asking for tips from French Kids Eat Everything–in particular, ideas for implementing the 10 Food Rules used by French parents to teach their children to be happy, healthy eaters. 1. Don’t label your child as a ‘picky eater.’ The French believe that taste is a skill that can be acquired (and should be taught), much like reading. In other words, picky eating isn’t (barring medical issues) innate, but rather learned. They believe that children can learn to eat, and like, all kinds of food. And this is what they tell their children! Try telling your children: “You’ll like that when you’re a bit more grown up.” Expect kids to develop a wider palate and — eventually — they will (particularly if you model this yourself!). The French know this takes years, so be patient! 2. Ask children to taste everything you’ve prepared, even if they don’t eat it. Scientific research shows that children need to taste a new food, on average, anywhere from 7 to 12 times before they will accept to eat it. Looking at it isn’t enough — they have to taste it! Positive peer pressure (particularly from other children who like the foods you’re introducing) also works wonders. 3. Introduce your child to new foods before you serve them. Sounds silly, but often works wonders. For example, show your child a raw beet (better yet, go to the local market and let them choose one to take home). Let them touch it, and smell it. Cut it open, and let them look at the intense colour. Then try a variety of ways of introducing beets to your family. Beet popsicles are a family favourite, as is beet salad! When a child says “I don’t like that food”, they often mean “I don’t know it.” The above exercise helps increase familiarity, and thus acceptance. 4. Talk less about health, and more about good tastes. In France, parents don’t cajole with nutritional information (such as explanations that a food has a lot of iron or calcium). Parents say: “Taste this, it’s really yummy”, rather than “Eat this: it’s good for you.” They believe (and tell their children), that good-for-you foods taste good. Healthy eating habits are a happy byproduct. Broccoli? Yum! 5. Stick with a schedule (and limit snacks to one–or at most two–per day). French children have three meals a day, and one snack (yes, even the teenage boys): breakfast, lunch, goûter (late-afternoon snack) and dinner. Snacking is forbidden at school (no vending machines, and no fast food either! ), and parents wouldn’t dream of putting their kids in activities during the dinner hour (nine out of ten French families eats a sit-down dinner together every night). Children are hungrier at mealtimes, and tend to eat better; serve energy-dense foods, and they won’t feel hungry until their next mealtime. (For a sampling of the types of meals French children eat, check out the French Kids School Lunch page, where I post menus from different French schools every week). Hope these tips are helpful, and look forward to your comments! This comment concerns me. My best friends daughter has severe allergies to some very common food ingredients. The tiniest amount ingested accidentally causes her to vomit- her body rids itself of what is toxic to it. She also has outgrown some allergies, but is taking a long time to ‘like’ the foods she’d been allergic to in the past. They have some very negative associations for her! Just a thought- maybe your little girl isn’t ‘stubborn/spoiled’ (by the way- ouch, mommy) but actually sick. I am yet to read your book, it has been so well recommended. Wondering, do you talk about spicy food? I have been hearing to eat everything we eat, but we (Mexican) eat very hot food (spicy- lots of jalapeño) Wonder if that subject is covered? Thanks and looking forward to transitioning my stubborn almost 3 year old twin boys. I am apalled at the sight of little kids ( 2 to 4 years old ) guzzling down sodas ( coke and sprite ). Sorry to say but it freaks me out. Is it healthy to give them soda? My daughter was recently at a kids party where the two year olds were given soda, thankfully I saw that happen and stared at the guy who was giving soda. I even gave a dirty look to my husband if he dared do that. I just lose it when people behave like that. Its not the kids’ fault but the parents’ . How to keep things like that in control? What about teenagers? Mine are pretty good about what they eat but it could still be way better. Two of mine are becoming pickier as they get older. My husband is a very picky eater, strictly meat and potatoes guy 🙂 How would you suggest implementing some of these ideas? I hope to get your book this week! Hi Karen, I have read your article in the i newspaper today and found it very interesting and inspiring, thank you. I have two children, live in the UK and am a keen cook. I have always tried to feed my children well and find that eating together whenever possible (most evenings) is a real pleasure for us all. My 12 year old daughter enjoys most foods but my 10 year old son is still not keen on the vegetables despite being served them all his life. He gets what we all eat, which is a very varied home cooked diet, enjoys spicy foods and different textures but is still adamant that he doesnt like vegetables unless they are almost invisible in a pasta sauce, rice dish or curry. I do what you advise and say that he will like them when he is older and do include him in shopping and cooking. I have been trying for years to get him to like his vegetables and will carry on. Compared to many of his friends he is not a fussy eater and he eats strongly flavoured food and an international cuisine…its just the veg! Interestingly enough, when he was a baby he ate spinach, broccoli, the lot! What do you do when your stubborn, spoiled kid throws up at the table after trying something you cook? What do you do when she does it over and over again, so there’s often vomit on the table? Needless to say, she’s got the upper hand in the food department. She does get straight As at school, so something is going right. But the food is an issue. The other kid will try things, and mostly eat what we eat. Also, would love to see some titles of French cookbooks including meals that don’t require an afternoon of prep. The recipes here are nice, but more would be better. I like seeing the menus too – what to put with the saffron chicken, or different ways to do vegies. Great book! But for me it’s only a fantasy! I just love your advice. I completely agree. Food needs to be fun and not a chore!